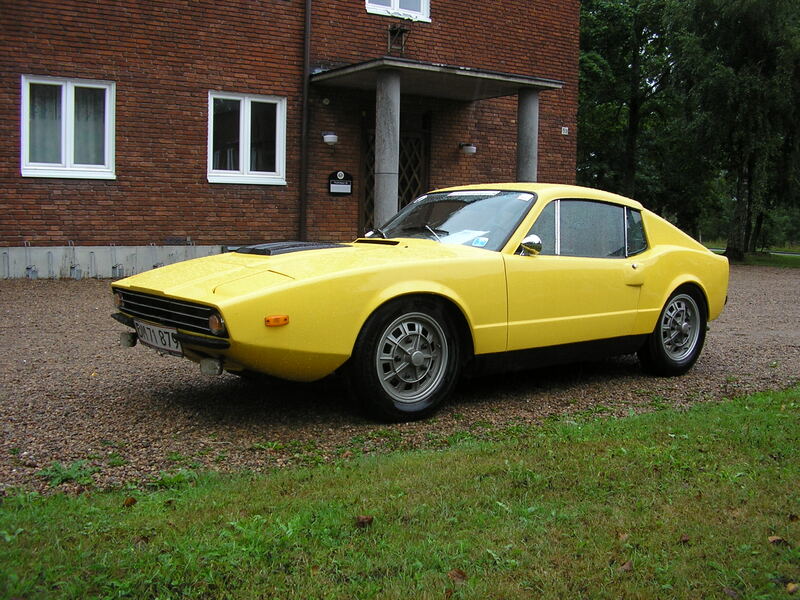 From imcdb.org a picture of a Saab Sonett (Model III). At this stage these cars were powered by a V-4 engine; that is not a typo. I know little about motorcycles, but my understanding is that V-4 engines are used with some frequency in motorcycles. They have not been used much in automobiles. It is less expensive to cast and to build an inline 4-cylinder than a V-4 and if the V-4 is not balanced properly it can create some nasty vibrations. Still, think about how short such an engine is and the advantages that creates in terms of engine placement. The engine can easily be set behind the front axle creating a front mid-engine design with optimal weight distribution. The resulting car can then be designed like the Sonett: long hood, short deck. The engine Saab used was actually built by Ford. Lancia, an Italian automobile company (I hate to have to explain who Lancia is), used V-4 engines more than any other manufacturer. They put V-4 engines in various models from the 1920s through the 1960s. Of course, Saab doesn’t build cars anymore. They were a casualty of the GM bankruptcy in 2009. GM tried to sell Saab to Koenigsegg, but the transaction fell through. GM then sold the company to Spyker, but I believe Spyker went bankrupt. For the nth time, fewer companies building cars means fewer sources of innovation for engineering and for styling.